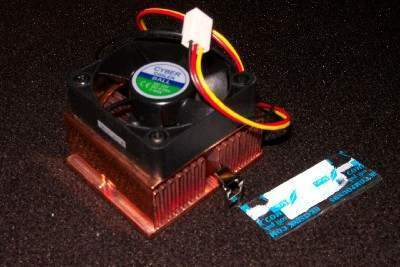 When most CPU coolers are mentioned, the big names come to mind like GlobalWin and ThermalTake. One of the older names we have not heard of, has finally created a large line of coolers available to the market. 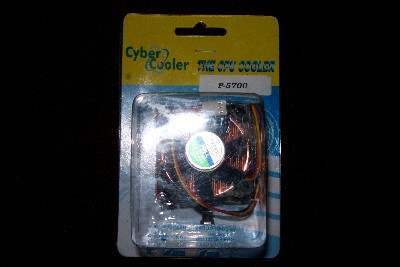 Cyber Cooler, which was founded back in 1987 in Taiwan, have been creating cooling solutions for quite some time now. 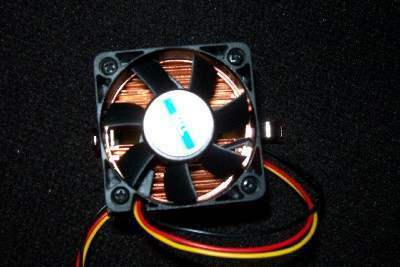 Their products include fans, system coolers and now CPU cooling units. 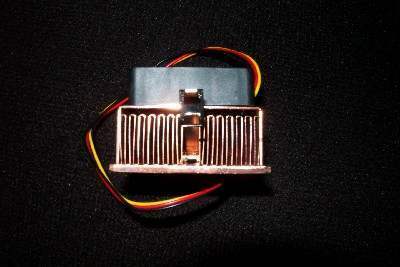 We will be taking a look at their all copper solution, the P-5700 model. 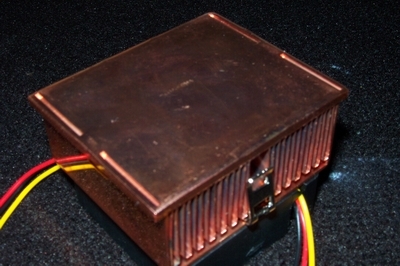 It comes in measuring at 60x50x4 mm (L x W x H) and contains 30 copper fins. A unit is a lot smaller than most of test samples from other companies. It comes with a small sleeve bearing fan, but it packs 7000rpms of power. It blows a measly 17.1CFM at about 30dB of noise though. There is nothing on the packaging that tells you this. The box itself is rather generic, which I think is used for all their coolers. Most of the newer CPU's are listed as being compatible, but the newer speeds greater than 1.2Ghz are not. Please make sure if you are purchasing it to make sure it meets these requirements. The fins are attached to the base instead of being formed through a mold. 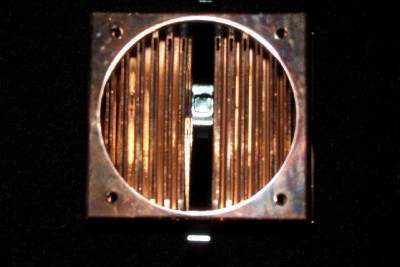 There are a total of 30 fins that go looping across, all covered by a shiny shroud below the fan. The clip is a little hard to attached to the notches since there is no protruding handle or hole to push down in. The clip when pushed in does provide a good hard hold on it. The bottom of the base is a rather flat surface. It feels like it has already been polished and without a raised level like most of the coolers, the finish is really smooth and shiny.